Welcome to the YesBus, a countryside basecamp in West Sussex where humans big and small come to heal sizzled minds, learn new skills and hatch fresh ideas. We do all kind of things here, including hosting workshops, skill sessions and co-working days, retreats, outdoorsy weekends and summer camps. The bus is also available to hire for any groups who share our ethos of using community, adventure and optimism to lead positive change. utterly transformed by moving to the countryside. Our surroundings have a resounding impact on our thoughts, confidence and imagination. We've created an upper deck co-working space with endless views of green hills, complete with all the tech you need to work seamlessly, meaning all you need to do is concentrate on creating the good stuff. It only seemed right to install a cinema in the bus. Our big screen is the perfect setting for presentations, inspirational talks and film showings. With ear-massaging surround sound, a seated capacity of 30 on comfy low-level loungers, and a 2 metre screen, there's no choice other than to sit back and enjoy the show. A short film by Nathalie Baker about how the kindness of strangers led to the creation of the YesBus. An update about the YesBus beamed into YesStories, just a week after the bus opened to the public. In 2017 we ran a crowdfunding campaign to help complete our conversion. Here's the film, which shows the bus' early transition and explains the theory behind this project. 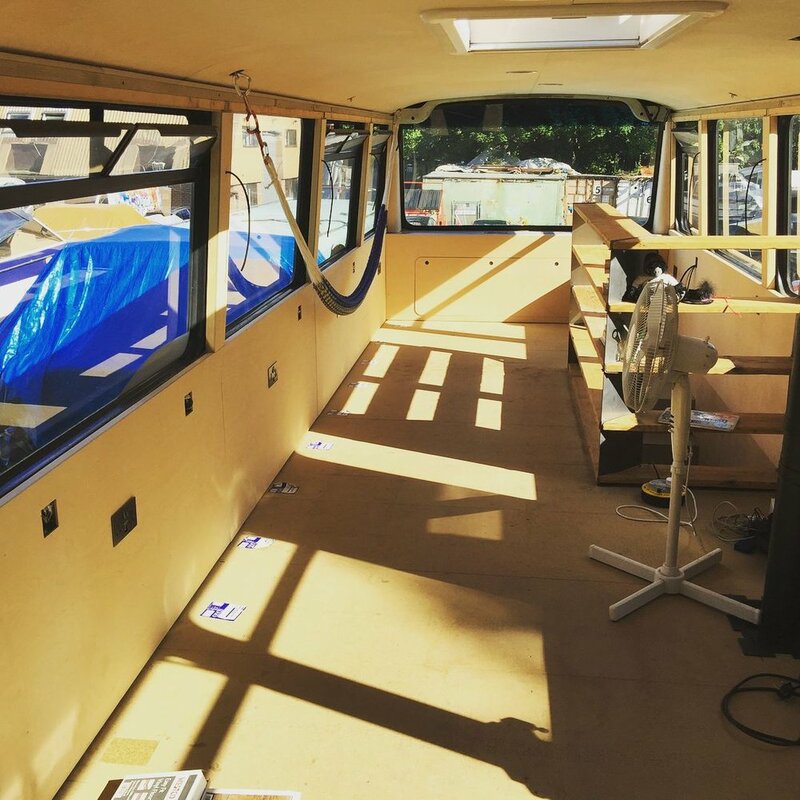 Founders Chris Barnes & Dave Cornthwaite introduce the YesBus one year into its conversion, from a temporary home in a west London boat yard. The YesBus is run by SayYesMore, a social enterprise that nudges people towards finding out what they’re really capable of. Since our launch in June 2015 we’ve grown a community of over 6500 doers, held three life-changing Yestivals (the first single-use plastic free festivals in the UK), and organised over 300 other events which have inspired, motivated and broken down limitations. We’re just getting started. We are founded on the basic principles of getting people together offline and in the great outdoors. We open doors, opportunities and friendships by saying yes, spending time with like-minded people, and getting outside as often as we can. One of our aims through SayYesMore is to use any profit from paid events to trickle down to pay for cheaper or free events and programmes to benefit those who wouldn't usually attend. Once the YesBus is fully up and running we plan on launching a Schools Initiative to especially work with inner city children who don't usually have the opportunity to visit the countryside. This will include workshops, programmes and educational visits, designed to build confidence, independence, empowerment and social responsibility. We're currently seeking a sponsor to launch this programme. See the attached document for full information. The more people who hear about the bus, the sooner we can get people on board to make this world a better place. Just a little message on social media or an email to your friends, that would make our day. Or tell someone you know that it's available for rent. The YesBus is perfect for a unique team building day, or a thank you to a group of hard working staff. Or maybe you need a cool space for a film premiere, product launch or workshop? We'd like to work with a variety of partners who offer products that align with the SayYesMore philosophy. 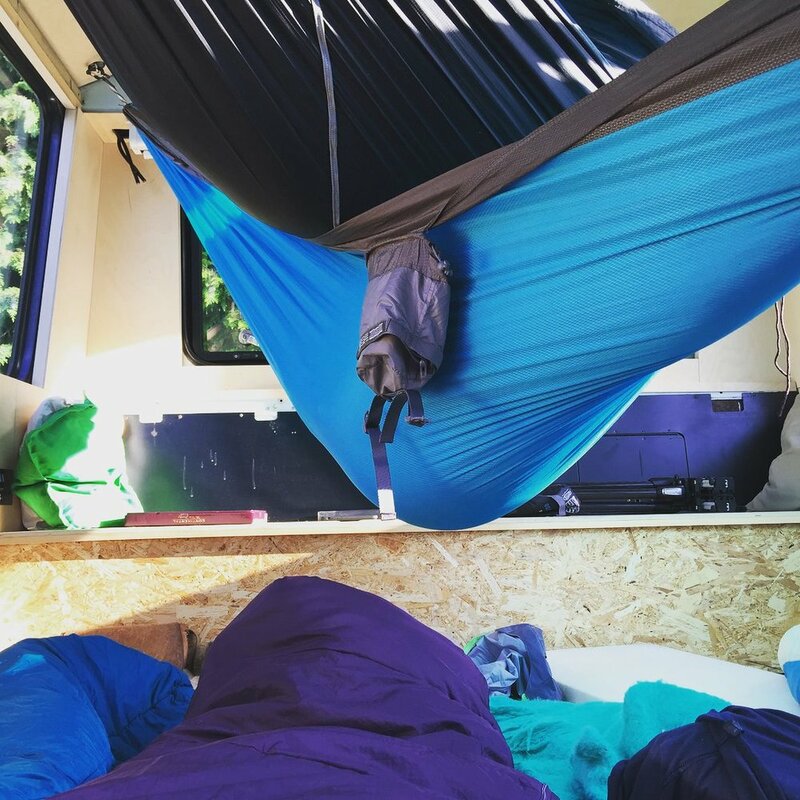 Sustainable power sources, adventure and outdoor brands, graphics companies, space-saving furniture designers and anyone with experience in conversions, tiny homes and creating awesome spaces. As we are still developing the site, we still need your help to get there. A donation of £100 will get your name on the Founders’ Staircase for all eternity and give you free Tribe Day Entry for a whole year. 5) COME FOR A VISIT! The YesBus is an incubation chamber for magic. A multifunctional structure with an off-grid power system based in the West Sussex countryside with unhindered views. Designed for meetings, lectures, meals, gatherings, celebrations and lessons the YesBus is a co-working hub, yoga studio, cinema, speaking venue, kitchen, cafe, library, a space for learning and sharing. 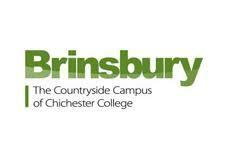 We plan to have a camping ground, a firepit, compost toilets (with a view!) and a permaculture garden. We’re creating the perfect space which is just at home introducing inner-city school kids to the countryside as it is as a base for start-up founders. The YesBus will be a modern tech hub with high speed wi-fi and projector systems with bluetooth surround sound, but sometimes we’ll switch off and turn it into a digital detox hub, just the ticket for a weekend of quiet relaxation away from the busyness and stress of the city. And what’s more, the YesBus will be work on a self-sustaining off-grid power source, using solar and wind to charge the batteries which in turn will power our lights, sockets, ideas and intuition. We'd like the bus to be an example of what you can achieve with space-saving furniture in a relatively small space, and every bit of the bus will at least two purposes. We believe in the power of taking a familiar idea and turning it into something new. An out-of-the-box decision - like buying a bus and turning it into a community hub - is inspiring in itself, and spending time inside a unique, creative space helps us come up with innovative, exciting ideas. The YesBus is an example of exactly why it exists - there's a beauty in bringing an audacious idea to reality. We are expanding the team to manage the launch of the bus this summer, to work remotely but also help to host events on the bus. We are looking for people with time and passion for the YesBus and SayYesMore to help us with marketing and PR to push out the crowdfunding campaign around the world. We need help with networking - introduce us to your networks and help us grow the community. Help us to find corporate and institutional funders for this incredible project and you could even help with influencer marketing. All roles start immediately so apply now if you're interested. Mid May 2016: Dave, Chris, Tam and Rima consider the possibility of buying a bus for the YesTribe. Guess what happened next?! Who can use the bus? Anyone! 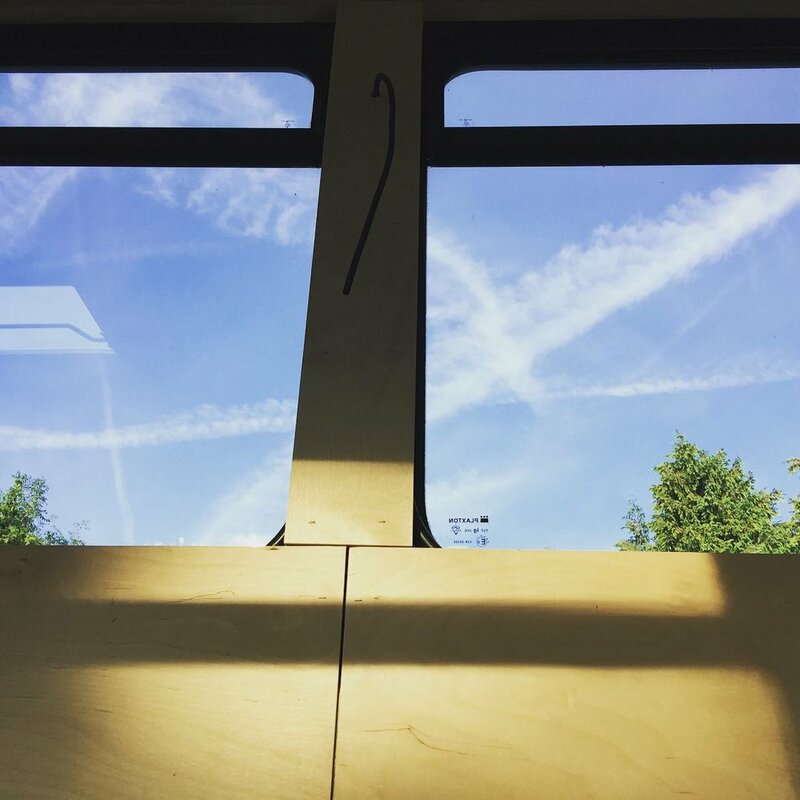 We have regular co-working days when people can come and work on their own projects, more curated days with workshops and skill sessions, and the YesBus is also available for private hire. Can international visitors use their non-UK plug sockets on the bus? In most cases a simple universal adaptor will suffice. what you'd use the YesBus for if you had the chance?